Even the most proficient chef in the world has experienced this once in their life --- serving a roasted chicken that looks gloriously burnished outside but turns out to be raw on the inside. This can be quite an embarrassing situation, and one that can potentially ruin your confidence if you are just starting to learn how to cook. If you’ve experienced this before, or worse, continue to do so, then don’t you worry. 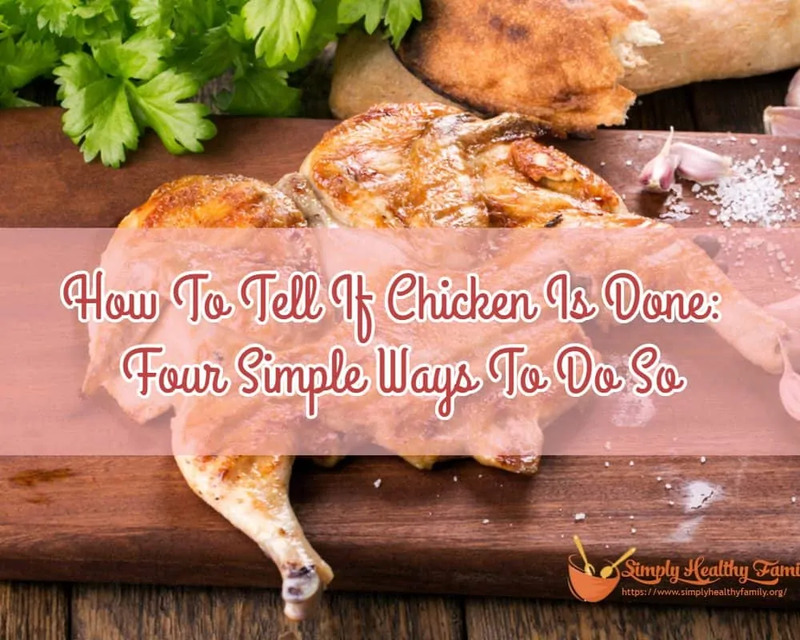 I will help you learn how to tell if chicken is done. Why not eat raw or undercooked chicken? Eating raw chicken can be severely detrimental for your health. 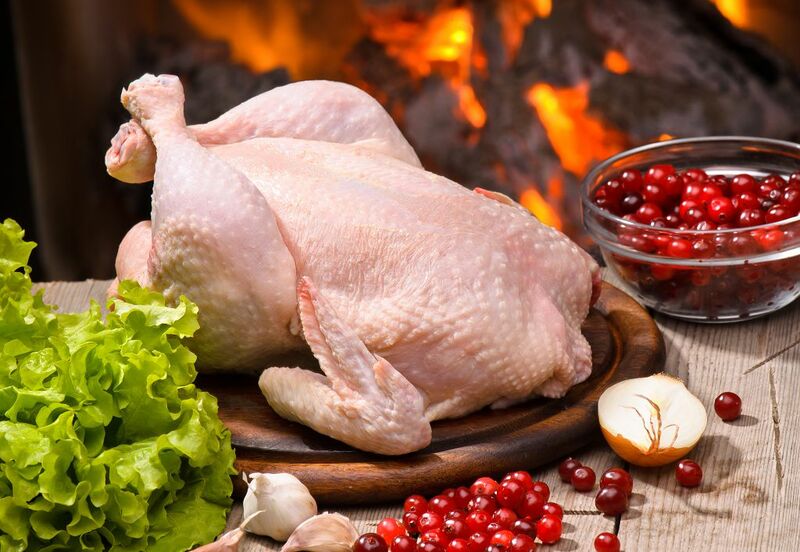 Raw chicken could be contaminated with Salmonella, a type of bacteria that is killed when chicken is cooked properly. If you eat chicken that is not fully cooked, you are risking yourself to gastrointestinal problems. Salmonella bacteria caused by eating undercooked chicken can cause salmonellosis. This condition has symptoms like severe diarrhea, nausea, abdominal cramps, headaches, chills, fatigue, fever and vomiting. Of course, eating undercooked chicken is simply disgusting for everyone at any ages. I don’t think undercooked chicken can be stomached. I guess this is the easiest and most accurate way to check that the doneness is done or not yet. 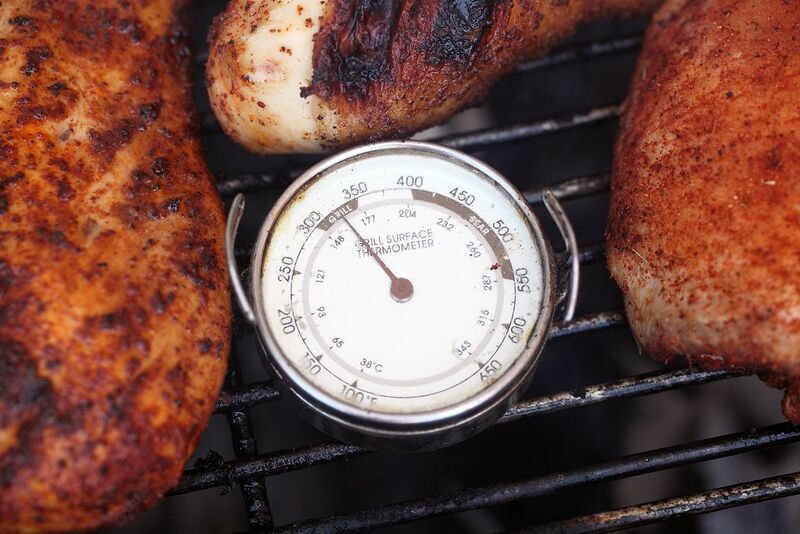 A meat thermometer is a special kind of probe that you can push into the chicken meat to determine its temperature. A meat thermometer is quite inexpensive so I guess you can spare a few dollars to buy one. A good thermometer that I can recommend is the Habor CP1 meat thermometer. You don't need to leave this in the oven. Simply insert this into the thickest part of the thigh. It can accurately tell the meat’s temperature in less than 10 seconds. The internal temperature should read 165 degrees Fahrenheit for the chicken to be considered as cooked. When you use a meat thermometer, you should keep the probe away from the bone. Why? Because heat tends to transfer quite faster in the bones, which can mean you would end up with a false reading and yes, raw chicken. A quite petty issue that cooks have with this approach is that poking the meat can have the juice escape, rather than staying in the chicken. But I guess that’s a minor disadvantage that I can pretty much live with. Another way to check if the chicken is cooked is to look at the juices. Get a knife and then slice the skin between the breast and leg. If the juice looks clear, then it is very likely that the meat is done. If the juice is colored pinkish, then you need to wait a bit longer. When checking out the juices of the chicken, you should also inspect the meat itself. The meat of cooked chicken is firm but not rubbery. It should not be tight too as this is a sign of overcooking. Of course, we have different interpretations as to what firm is. What may be firm to me isn’t firm enough for you. So how can we arrive at the definition for firm in this regard? Experienced chefs have devised a so-called finger test to give us an idea on how firm the meat of a cooked chicken should be. Bring the tip of your thumb and ring finger together. Then feel the flesh beneath the thumb. This is how firm a well done chicken’s meat should feel like. If the chicken is raw, the meat will be softer than that. Here’s how you can tell the softness of raw meat. Gently press the area below the thumb with the palm of your hand opened. That’s how soft raw chicken meat feels like. The problem with this ‘test’ is that it isn’t the most accurate way of determining the doneness of chicken. Even cooks admit they fail when they use this approach. 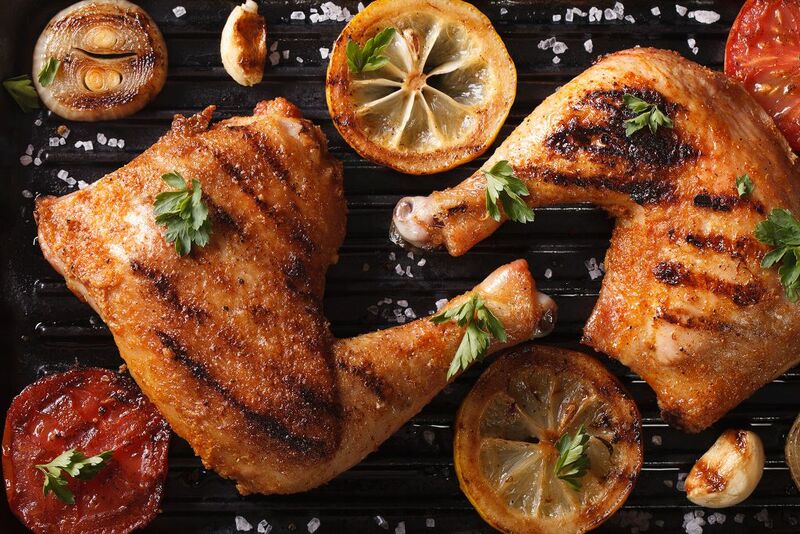 It can be tricky to observe the exterior color of the chicken especially when you are grilling it. 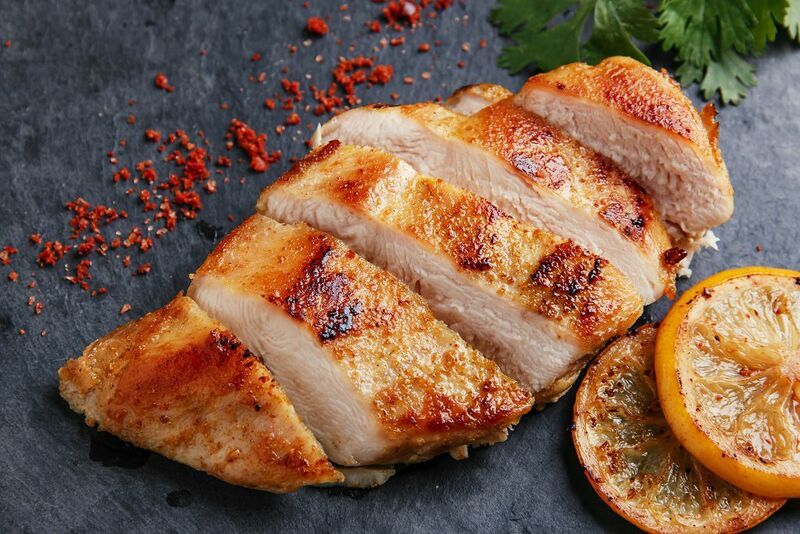 The chicken breast may look done outside with its grill marks, yet could be raw on the inside. But you can also look at the size of the chicken. If it appears to look smaller than its original size then it is close to being done. Did you learn something from this article? Of course, I hope you did. Again, the easiest and surest way to check the doneness of chicken meat is to use a meat thermometer. I highly recommend that you use the said technique.